Did You Win Coming Of Age Drama DEPARTURE On DVD? 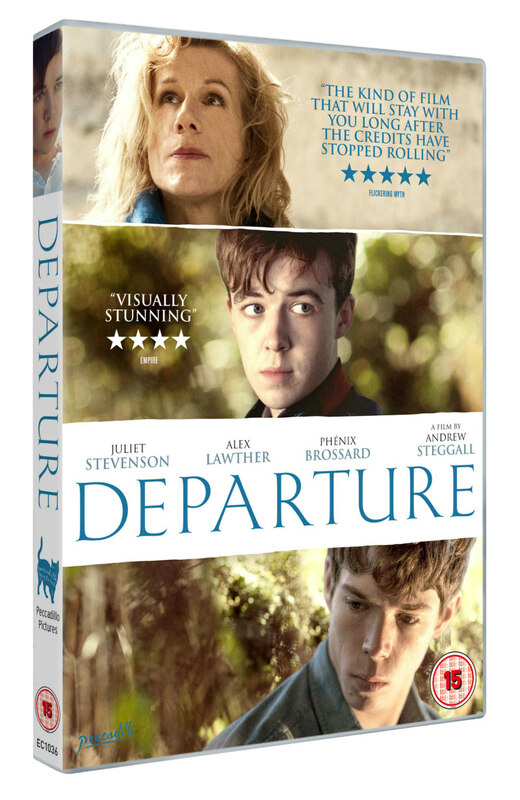 Andrew Steggall's directorial debut, Departure, arrives on UK DVD September 26th from Peccadillo Pictures, and we've got three copies to give away to UK readers. Beatrice (Juliet Stevenson, Truly, Madly, Deeply) and her teenage son Elliot (Alex Lawther, The Imitation Game) spend a week packing up the contents of their remote holiday house in the South of France. Fifteen-year-old Elliot struggles with his sexuality while his mother is confronted by the realisation that her marriage is coming to an end. When an enigmatic local teenager, Clément (Phénix Brossard) enters their lives, both mother and son are compelled to confront their desires and finally, each other. Departure is an intimate story beginning at dawn on the first day and ending at night on the sixth day, charting the end of a summer, the end of a childhood and the end of an otherwise nuclear middleclass family.